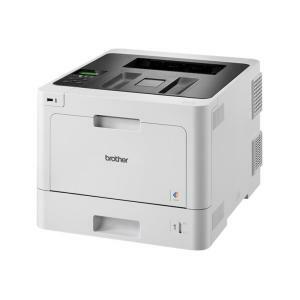 The Brother HL-L8260CDW Wireless Colour Laser Printer is both efficient and reliable when it comes to business printing. Easy to operate and able to handle demanding daily workloads, the HL-L8260CDW features up to 31 ppm colour and monochrome print speeds, USB, wireless and wired connectivity, a 2-line LCD screen, a 300-sheet paper input, as well as, high-yield toners and optional paper trays. In a complex world, sometimes it’s best to keep things simple, and with the HL-L8260CDW, simple really works.